Along the course of the long and winding road of adoption, there are fits and starts. 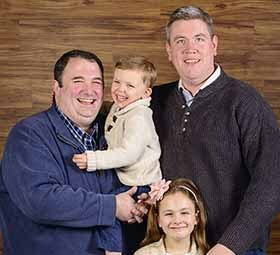 For Robert Case and Chris Teagues, that was the case that led them to adopting now-9-year-old Anna and 5-year-old Christian. “Any time that we would go into Jordan’s Furniture or we would go and look at the Heart Gallery, we would look at it and say, ‘We really want to do this. But let’s wait until we’re a little more stable.’ These kids don’t need 100% of you; they need 110% of you. We wanted to be in a place where we could provide that,” added Teagues. After getting beyond the initial idea of wanting to adopt, they learned that there are classes to take (The Massachusetts Approach To Partnerships in Parenting or MAPP) and approvals to attain; as set forth by the state. According to state estimates, this process takes about 18 months to complete from beginning to end. For the family it was onto MAPP classes, which the couple found to be informative, thought provoking, and essential to their becoming parents. For any adoptive parent that first moment of connection with the kids is a breathtaking moment. There’s a certain innate magnetism when you see your kids for the first time. There’s no rhyme or reason behind it; when you know, you just know. This was the case for Case and Teague when they first laid eyes on Anna and Christian. 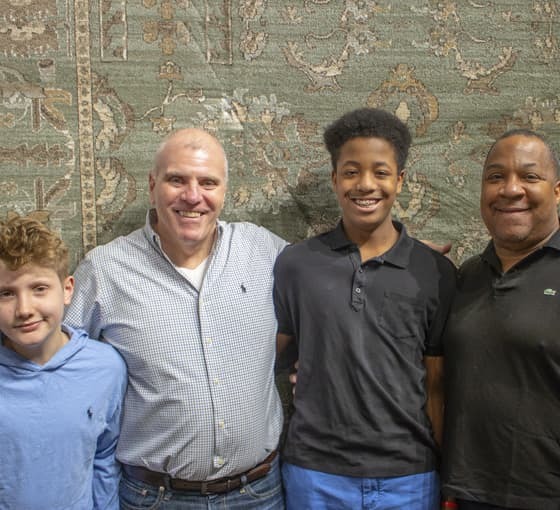 Adoption day is an emotional experience for children and parents alike, and for Case and Teague, this was certainly the case. Surrounded by friends and family in a courthouse in Worcester, Mass., the Case-Teagues doubled in size from two to four. Not only did both Rob and Chris have paperwork to sign, but so did Anna and Christian to “adopt” Rob and Chris to be their parents as well. With the strokes of a couple of pens, the adoption became finalized and the Case-Teagues became a family.